JAINA Newsletter: 15-Year-Old Receives The President's Volunteer Service Award, Tax Deductible etc.. Please send in your valuable tax deductible contributions to make your organization stronger. We are looking forward to your valuable suggestions. Recently, Jain Fellowship Houston participated in its annual community service event at the Houston Food Bank. Read more about it below. Q 1: What is the Ekasan? Q 2: What is the Ayambil? 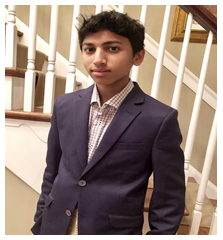 Deven Patel, 15-year-old from New Jersey, Grandson of JAINA President Gunvant Shah was recognized with the President Donald Trump’s Volunteer Service Award for his commitment to strengthen our nation and communities through volunteer service. Deven’s volunteer hours are focused on helping younger children attain their goals. Specifically, Deven volunteers as a Junior Black Belt Karate instructor. Deven has a Second Degree Karate Black Belt and is in training to get his Third Degree Black Belt and he volunteers to help younger children train to get their Black Belts. In addition, Deven volunteers as a Junior Tennis Instructor helping younger children improve their tennis skills. Finally, Deven volunteered at the local YMCA as a Youth Sports Volunteer where he helped children develop skills in a variety of sports like basketball. Deven enyoys volunteering and passing on his skills to younger children. Over the past years, Deven has served as a model of the American spirit. His service has strengthen the bonds of cooperation and trust that bring people together, while helping to address some of the greatest challenges of our time. Please look at his President Trump's Volunteer Service Award Certificate and Appreciation Letter. Note: We encourage you to send us similar stories about Young Jain Children. Raivatachal (Girnar mountain) was like a jewel of Saurashtra region. To its southern side was a city that was compassionately and lawfully protected and was inhabited by many rich people who were prosperous like Kuber, the God of wealth. Hence, the city was aptly named Kuber. It was full of beautiful and unmatched bloomed lotus gardens, which would unfailingly make the lotus-like eyes of a viewer blossom. There was a strong and heighted fort unconquerable by enemies. 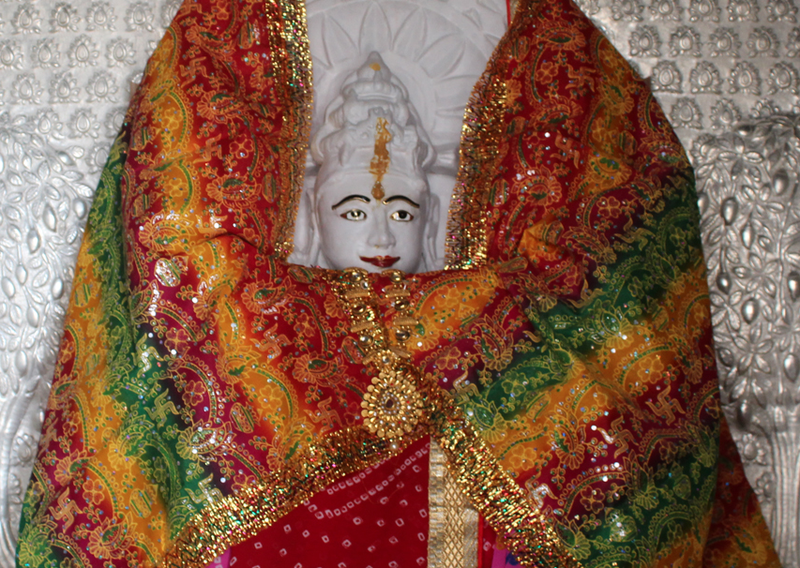 There were temples which would destroy all the sins and each of these temples housed magnificent idols of Tirthankaras. People of Kuber town were greatly devoted to these Tirthankars and owing to the good merits acquired due to this devotion, they were gaining and enjoying all wealth related pleasures. This land was ruled the noble King of Yadav Dynasty named Krishna. Owing to his Yash Naam Karma (a type of Karma that brings fame), he enjoyed fame that could be matched only by Indra – the king of celestial beings. Just like a brave lion capable of decimating an elephant of the highest order, his prowess in defeating enemies was unparalleled. 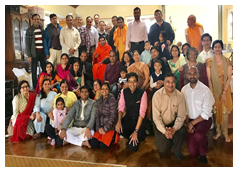 On November 4, 2018, YJP Toronto and YJOT hosted "An Afternoon of Inspiration & Connection", an inclusive community event envisioned to connect Jain professionals in Toronto and share words in the spirit of bridge building. 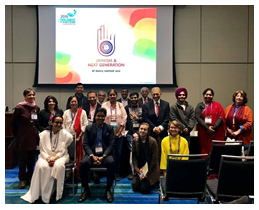 On November 8, 2018, YJP Toronto attended and represented Jainism at the Parliament of World Religions, an annual series of conferences designed to create global dialogue of faiths. In 2018, attendance exceeded 10,000 persons of faith and conscience from 80 nations and more than 200 unique spiritual backgrounds. A 1: One takes food once a day sitting in one place. (One should not eat the salad or the raw grains.) One also drinks the boiled water during the daytime. A 2: One takes food only once in one sitting. Food should be boiled and not have any spices, milk, curd, ghee, oil, and raw vegetables. One drinks only boiled water during the daytime. It is better if one can do the chauvihar or the tivihar the night before.